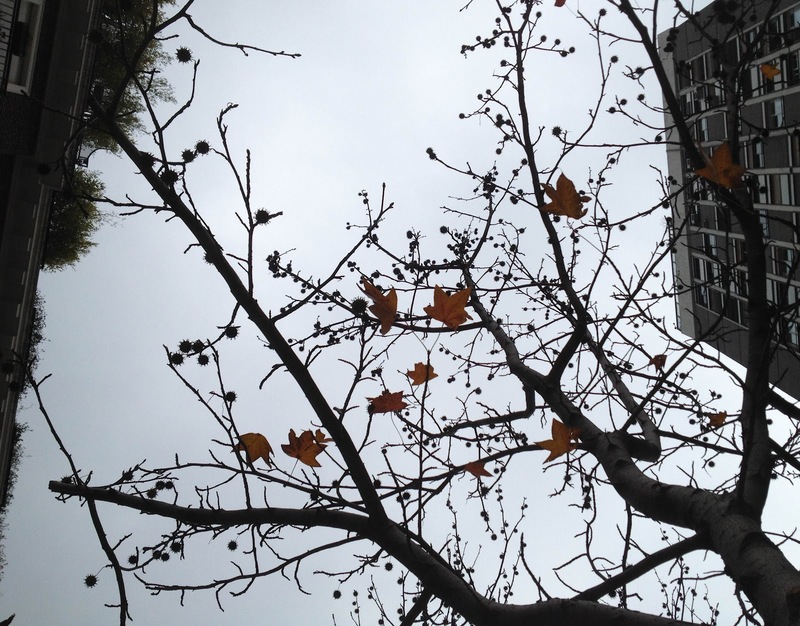 This past Thursday I had a very important appointment, and now I'm waiting fingers-crossed for a positive answer. I'll let you know when I know. 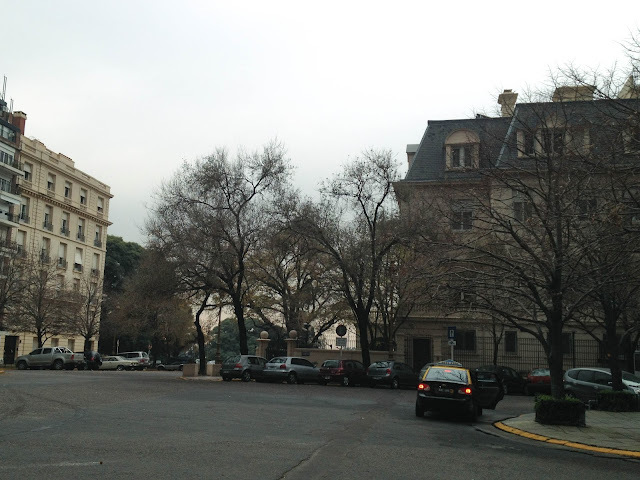 Anyway, this is how the day looked around Recoleta neighborhood. A truly gray, rainy, winter day. 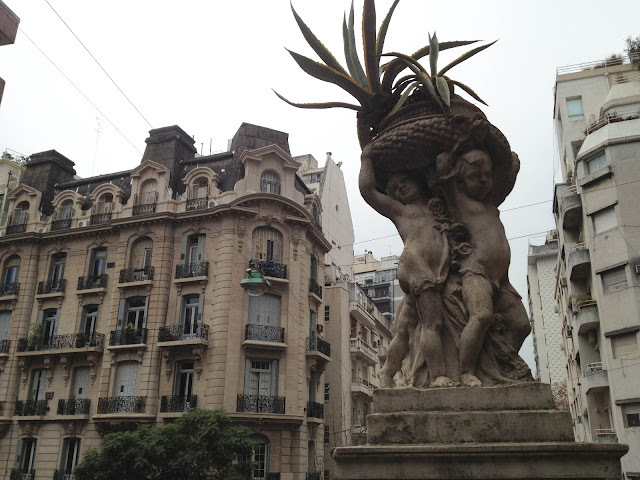 I love the architecture around Recoleta. I like those old French looking houses, and the way some of them got stucked between two (relatively) new apartment buildings. That's very Buenos Aires. Since Thursday I have an awful cold so I'll be sneezing and drinking chicken soup, the rest of you go on and have a lovely weekend! Ohhh... 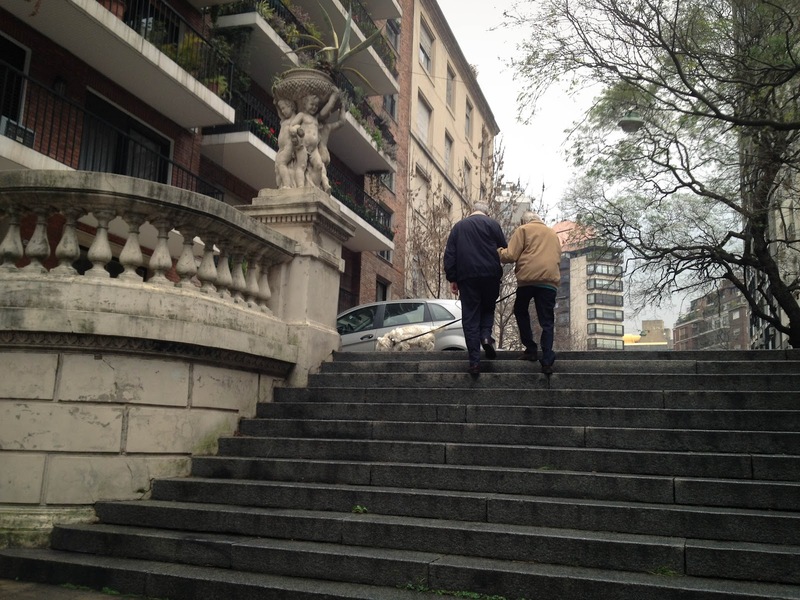 This week I passed by these streets and this stairs at Recoleta! I wanna be rich and live there!